The use of electronic cigarettes among middle and high school students in the United States has surpassed the use of traditional ones for the first time, the Centers for Disease Control and Prevention reported. In fact, electronic cigarette use among high school students essentially tripled between 2013 and 2014, according to data from the CDC’s 2014 National Youth Tobacco Survey. Last year, 4.5 percent of students surveyed had smoked an e-cigarette sometime in the month prior to being asked. In 2014, that number grew to 13.5 percent. Yet in the same timeframe, the use of traditional cigarettes has fallen substantially, from 12.7 percent to 9.2 percent. That’s the biggest one-year drop in more than 10 years, Reuters reported. With e-cigarettes among the youth on the rise, new questions are being raised about whether or not the news should be celebrated, especially since the long-term consequences of e-cigarette smoking is unclear. E-cigarettes may produce vapor rather than smoke, but they still contain nicotine, which some fear could lead users to eventually move on to regular cigarettes. Even if they don’t, though, nicotine can be addictive and lead to developmental problems. Anti-tobacco advocates also raised alarm at the way e-cigarettes are being marketed towards younger demographics. Unlike traditional cigarettes, there are no regulations on the books regarding how the products are advertised, but some believe they have noticed the same kind of strategies resurfacing with e-cigarettes. As noted by The Verge, the Food and Drug Administration has expressed a willingness to regulate the industry but has not actually moved to do so. It’s currently working on banning the cigarettes for those under 18 years of age – as with regular cigarettes – but it’s not looking at rules for marketing or the various types of flavors that are sold. 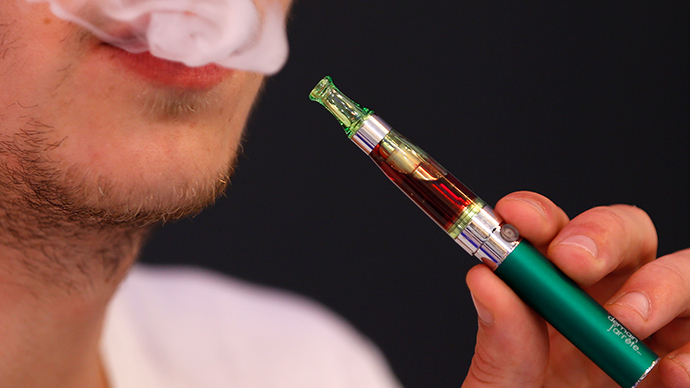 Others find the concern over e-cigarettes to be overblown. They argue that while underage children should be able to gain access to such products, there’s no solid evidence indicating that students will graduate to traditional cigarettes after using. Additionally, they say e-cigarettes are keeping children away from normal ones, which kill more than 480,000 people a year (including secondhand smoke), according to CDC data.